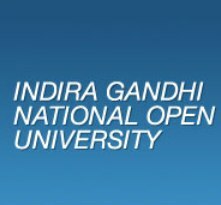 Shillong, Aug 5 : Indira Gandhi National Open University (IGNOU) is mulling to create 5,000 digital learning centres under the control of its regional directors, Vice-Chancellor, Ravindra Kumar on Saturday. He said the Central government has created communication networks including broadband facilities to 10 lakh villages across India where learners in remote areas can also access to digital learning. Kumar reviewed educational programmes to be undertaken in the northeastern states through the distance learning varsity’s newly-set-up North East Council of IGNOU Regional Centres (NECIRC). “The advantage is that, this broadband connectivity will be a passage for us, and all digital materials will run on this broadband connectivity where our learners located in remote areas will also get access,” he told journalists here. The Vice Chancellor said IGNOU had signed an MoU with the National e-governance division of the Ninistry of Information Technology to provide the entire e-governance materials prepared under the Digital India initiative and nation-wide internet network free of cost.